The unions have warned it would be "the biggest strike action the company has ever seen". 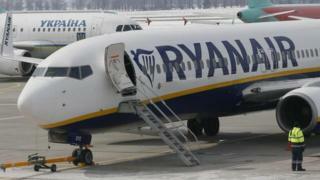 The Irish airline, Europe's largest low-cost carrier, said Wednesday's strikes would "damage Ryanair's business in Germany" and described them as "unnecessary". "These are wildcat strikes designed to cause maximum disruption to our customers and maximum damage to the Ryanair business," said Ryanair's chief marketing officer Kenny Jacobs, speaking at a news conference in Frankfurt in Germany. "It is unacceptable that a union representing Ryanair's German pilots, who earn up to €190,000 a year and work a five-day week followed by a four-day weekend, is now threatening customers' travel plans at short notice," Mr Jacobs added.